A Mexican, a Bangladeshi and a Malian have been detained at Manila airport for travelling on bogus documents. The Bureau of Immigration (BI) is now preparing to deport the three foreigners who were separately arrested at the Ninoy Aquino International Airport (NAIA) over recent days. In a news release issued today (Wednesday, August 8), BI Commissioner Jaime Morente said the foreigners will undergo deportation proceedings for possessing spurious travel papers, which they presented to immigration officers. 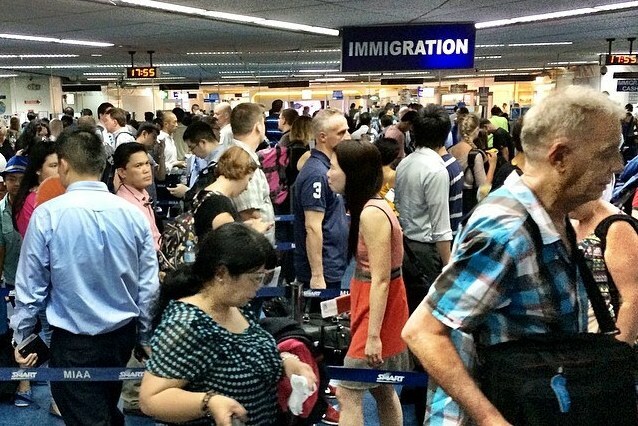 The three passengers are just the latest addition to the list of foreigners arrested in recent weeks at the NAIA for using counterfeit documents. “We are alarmed by what appears to be a proliferation in the use of fraudulent travel documents by foreigners who attempt to enter or exit our country,” Morente said. BI Officer-in-Charge Deputy Commissioner and Port Operations Division chief Marc Red Mariñas identified those arrested as Moustapha Harry Dicko, a Malian; Gabriel Martinez Mendoza, a Mexican; and Joynul Islam, a Bangladeshi. Mariñas said all three passengers were immediately taken to the BI jail in Taguig City after they were intercepted on separate occasions at the NAIA last week. “They will soon be deported and later placed in our blacklist so they won’t be able to re-enter the Philippines,” he added. Islam was arrested for having a fraudulently acquired electronic travel authority as he was about to depart for Canada, while Martinez Mendoza was intercepted a few hours later when the bio-page of his Mexican passport was found to be altered. Then, Dicko was apprehended when he tried to leave for Indonesia with a tampered Malian passport. “Our immigration officers undergo rigorous training on document assessment and fraud detection, and we have also upgraded our technologies to better detect cases of fraud,” said Morente. “Let this latest string of apprehensions serve as a warning. Schemes like this will not pass,” he said. Also today, an Australian law professor was detained at the NAIA after his name appeared on a Bureau of Immigration blacklist. Gill Boehringer is accused of engaging in political activities on previous visits to the country and is due to be deported.